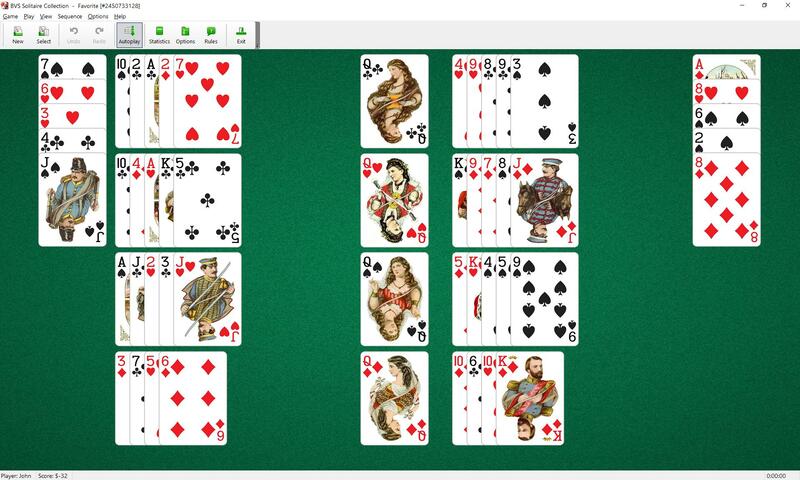 Favorite Solitaire uses 52 cards. You have 8 tableau piles (6 piles with 5 cards in each pile, 2 piles of 4 cards each), 2 temporary piles of 5 cards each and 4 foundations. First card dealt from the stock is a starter card of the foundation. The rest three cards of the same rank are placed next to it. The first card played to any foundation pile determines the direction of building for all 4 foundations (up in suit or down in suit). Once established, the direction of building cannot be changed. To build the foundations in selected direction in suit until each pile contains thirteen cards. 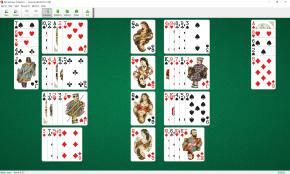 The top cards of tableaus are available to play. You may build tableau piles up or down in suit. Only one card at a time can be moved. When any tableaus are empty you can fill the space with any card. The top cards of temporary piles are also available to play on foundations and tableau piles. You cannot move cards on temporary piles. Empty temporary piles cannot be filled.